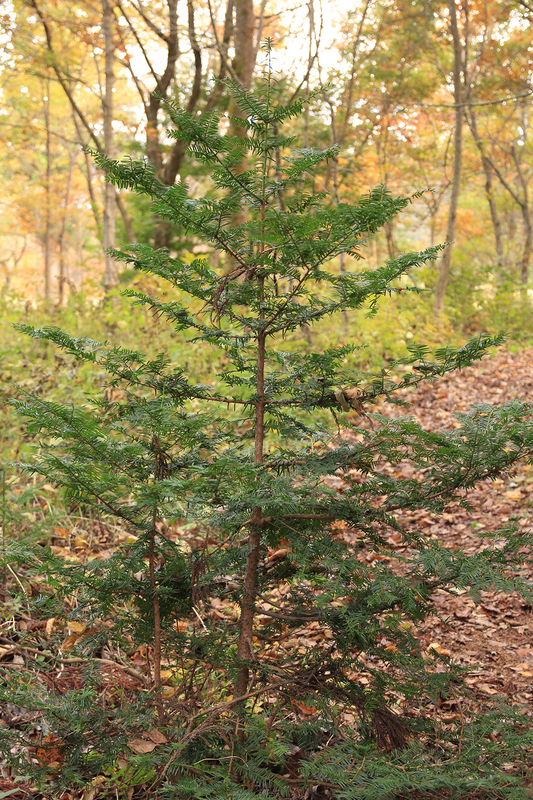 The yew tree is fairly common in Nagano, mostly grown as a windbreak or hedge. In our Afan woods we have a few yew trees, but they are still small and immature. How they got there I don’t know, because we didn’t plant them. 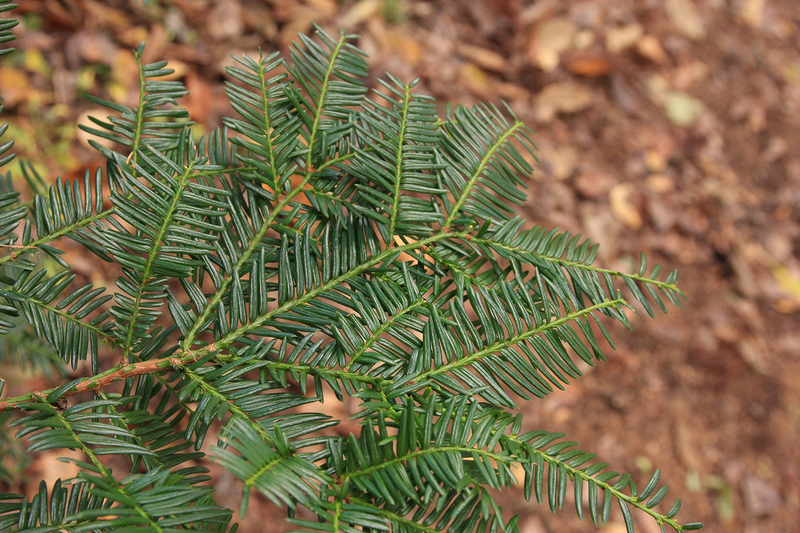 Yew trees are highly toxic, with taxine alkaloids that can kill humans and animals. Ingesting yew toxins can cause cardiac arrest. The Japanese yew, whose scientific name is Taxus cuspidata, is native to Japan, Korea, northeast China and southeast Russia. 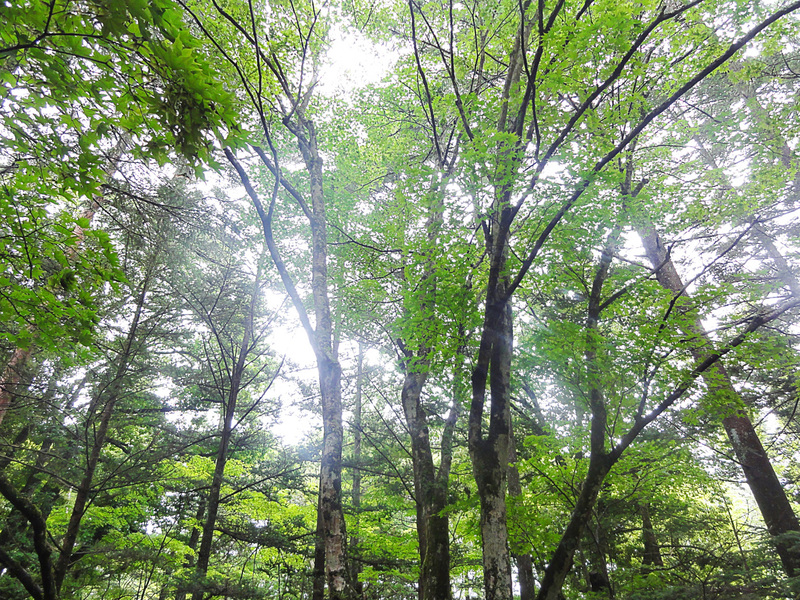 It is a slow-growing evergreen tree that can reach a height of ten to eighteen metres, with trunks of mature trees being sixty centimetres in diameter at chest height. Yews have dark green ‘needle’ leaves, one to three centimetres long. 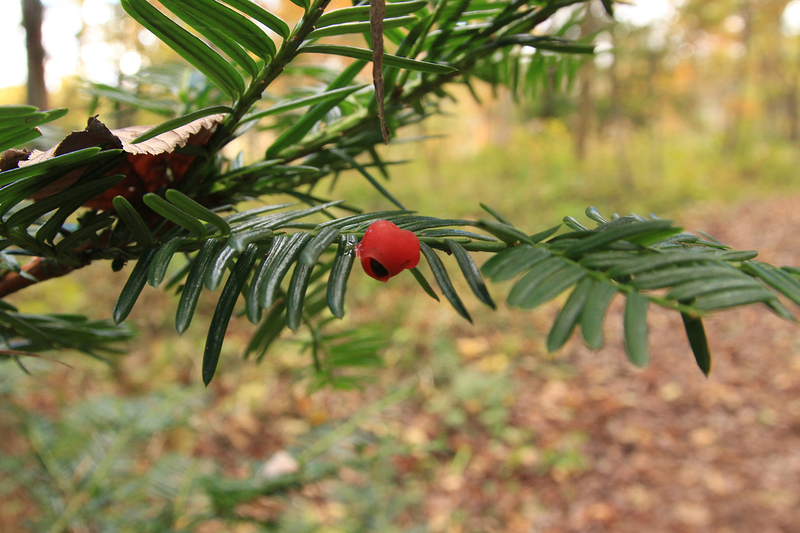 All parts of the yew are toxic, with the exception of the berries, red when ripe. These berries are soft and sweet, open on top so you can see the seed. Seeds are toxic, but are carried by certain birds whose digestive systems do not break down the skin of the seed. That is probably how they came to grow in our woods. 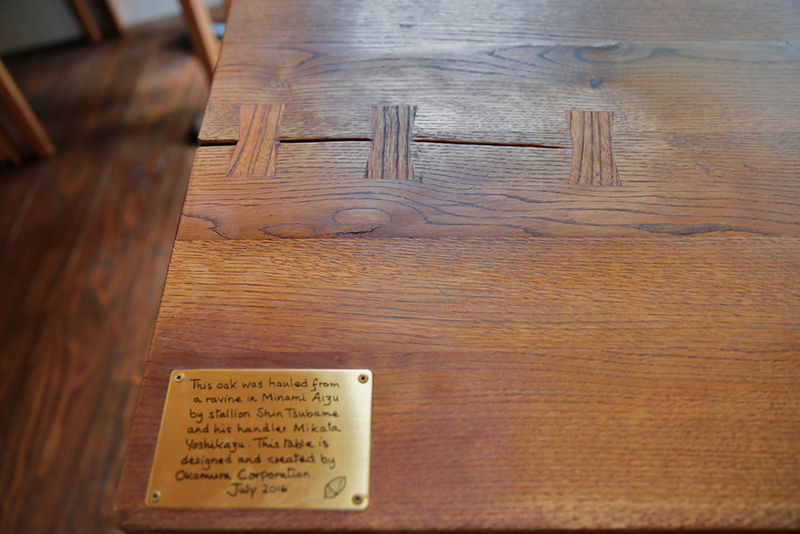 In Europe, and especially Britain, the yew has had an enormous historical and cultural presence. The British yew, Taxus baccata, was the chosen wood for bows. The heartwood is red, with an outstanding ability to compress, while the yellow sapwood is elastic and very flexible. The range and power of the Welsh and English longbow is legendary, sending arrows that could pierce the armor and chainmail of mounted knights. European yews can grow to great age, some exceeding three thousand years. They are often found in church and graveyards. In pre-Christian times the yew was associated with both life and death, staying green throughout long winters, but also with its ability to kill. Some claim that the yew was planted in sacred places to dissuade the owners of sheep, cattle and other grazing animals from letting their beasts wander over burial grounds. Demand for yew bows caused extreme over-use for hundred of years and all European governments took strong measure to control cutting and export of yew. Yew wood is easily worked and has been used to make musical instruments, especially stringed instruments, from lutes to guitars. Yew has also provided medicine for treating cancer.